Masumi may be one of the most famous breweries in Suwa but Reijin seems very ambitious and they appear to be doing what they can to catch up and surpass Masumi, at least locally. 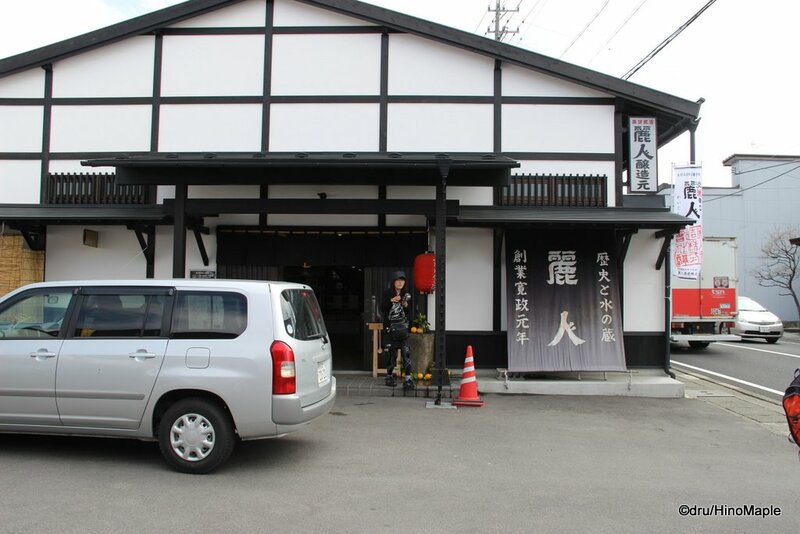 We continue our trip to the 5 sake breweries of Suwa by visiting Reijin, a large brewery that does a bit of beer brewing as well. Reijin is one of the larger breweries and they had remodelled their show room and factory area sometime in the last couple years. The parking lot is pretty big and it afforded a lot of space for people to enjoy themselves during the festival. The brewery was established in 1789, around the time America was born. For some reason they like to play with this and say Reijin has been around for a similar time as America. They pride themselves on the fact that they are still in the same location since that time and even have the same foundations in some areas. The area was my own personal focal point for the festival. I stayed there the longest because they had a great area to relax. It was very busy and they had the most space. They also had nice glass pitchers full of sake that were free for us to fill up to our hearts content. They had so much space in their parking lot that they had a small area for deer tsukune barbecue; a table for free tonjiru, or pork soup; and a table where glasses of beer were 100 yen each. 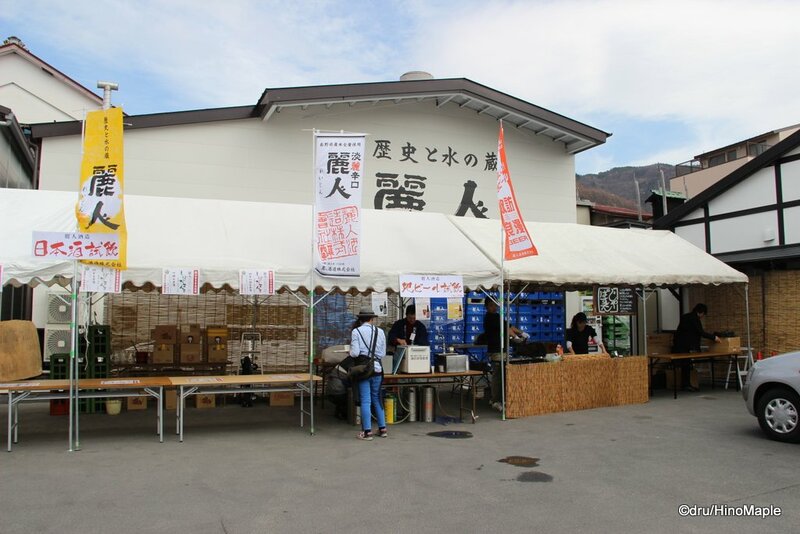 The brewery focuses the most on sake but they have a small side business making beer as well. They have 3 types of beer that were born in 1999. They have the Shirakaba (Kolsch), Rindo (Altbier), and Kuroyuri (Stout). The craft that went into the beer wasn’t bad but their real craft is in making sake. I think it is interesting to see the sake breweries making beer but sometimes they spread themselves too thin and can’t make both of them really well. I have seen some breweries change to beer and some just make terrible beer. Reijin is probably better known for their sake but they do have a good business with beer as it is sold all over Suwa. If you head into their shop, you are also greeted by the same large space as you saw in the parking lot. While the shop isn’t huge, it is smaller than Masumi’s shop but just as beautiful. They have displays showing all of the sake that they brew. While they primarily focus on sake with rice grown in the area, they had special Yamada Nishiki sake that uses the Yamada Nishiki strain of rice that is grown in Hyogo. 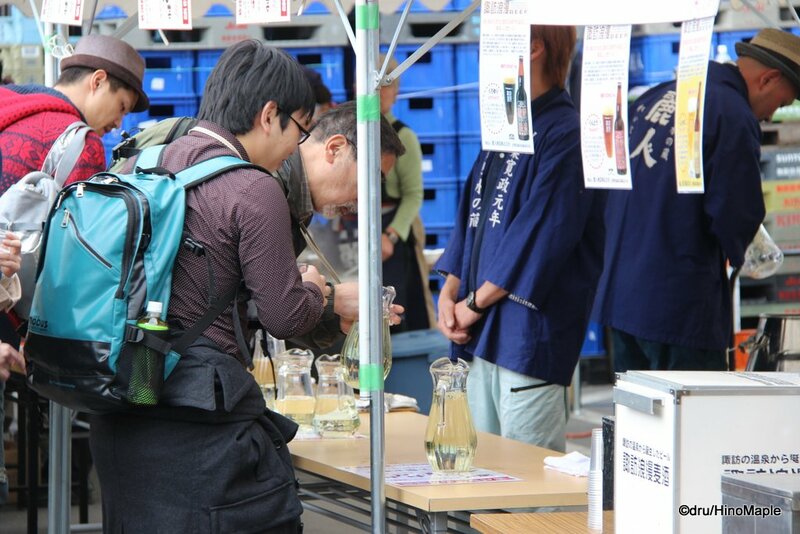 The shop does allow tastings and there is a small corner where you can get tastings of the different sake. You can still buy beer for 100 yen a glass and they even have a lot of tourist items such as rebranded beer bottles and rice sack bags that were turned into purses and other items. The shop was really nice but a little understaffed. I probably went there during a “busy” time but to be honest it wasn’t busy at all. I really enjoyed the sake there and would love to go back again. This entry was posted in Chubu, Chubu Food and tagged beer, craft beer, japan, Nagano, nihonshu, Nomiaruki, Reijin, sake, Suwa, Yamada Nishiki by Dru. Bookmark the permalink.